Welcome to my inaugural post on the PianoFAST blog! I’m so happy you decided to drop by and visit – REALLY, I AM! My goal with this blog is to share power lessons, tips, and secrets to help you play piano – and sound like a pro – fast. So what do famous piano players have to do with that mission? Even if you’re a beginning piano player, it’s a good idea to find some well-known pianists to listen to, to find a style you like, and to pick a few tunes you’d love to learn to play yourself. Not only will this give you something to work toward, but it will help you train your ear and start hearing all the little licks, chord progressions, and harmonic structures that will help you as your playing progresses. This list is certainly not complete. Who knows…we may get to Part 20 as time goes on! If you disagree with anything on here, or have any comments or additions you’d like to make, please do so in the comments section – I’d love to hear from you! Now, without further ado, here is my best start at famous piano players who helped shape history and are still considered some of the most influential pianists of all time. OK, so Bach was actually an organist, but he had a huge impact on many famous piano players, and his compositions continue to be used as exercises for pianists to this day. In fact, before playing a concert, Chopin used to lock himself in a room and play Bach’s music, and Bach’s use of counterpoint influenced the composing styles of Mozart, Beethoven, Schumann, and Felix Mendelssohn, among others. Check out Bach’s two- and three-part inventions for some challenging little pieces that look deceivingly simple at first glance. Well, now I’m feeling like this list might be a little biased, since I *might* actually be related to Franz Liszt (my Great Grandmother’s last name was List – close…maybe…?). Liszt was described by some as the most technically advanced and perhaps the greatest pianist of all time. He was an influential composer, teacher, and performer, giving financial support to the likes of Richard Wagner, Hector Berlioz, and Edvard Grieg, among others. He also invented the symphonic poem and anticipated a number of 20th century trends in his music. Beethoven is one of the first classical composers most people think of, and his name instantly evokes specific melodies (da da da DUM!). Historically, he was a virtuoso pianist who was an important link between the Classical and Romantic musical styles of Western music, and as he slowly lost his hearing throughout his life, he focused more on composition and less on performance, especially in the last 16 years of his life. 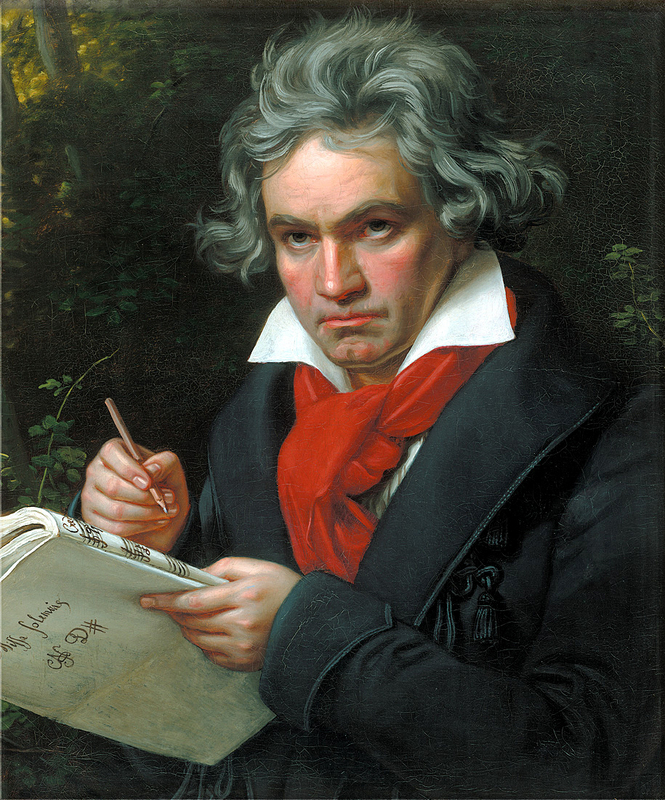 Beethoven’s Moonlight Sonata is one of his most beautiful and well-known works for piano. The first movement is a great recital piece for intermediate pianists, and the complete Sonata is definitely for the more advanced pianist, but definitely something worth working on. Although I haven’t personally listened to a lot of Rachmaninoff’s piano performances, he is one of my all-time favorite composers. He’s one of the last of the Russian Romantic composers, and if you don’t feel anything when listening to his music, I would see a doctor if I were you! Rachmaninoff was said to have had huge hands, and the Guiness Book of World Records reports that he could play a left-hand chord of C – Eb – G – C – G! That implies that his reach was probably more than an octave and a half, if playing just two notes. If you’ve never listened to his Piano Concerto #2 in C minor or his Rhapsody on a Theme of Paganini (adapted for use in the movie “Somewhere in Time”), do yourself a favor and find a copy as soon as possible. In fact, here’s a link to a fantastic performance on YouTube http://www.youtube.com/watch?v=5ZRbko3UsnQ. It’s been said that Rachmaninoff rarely, if ever, played an incorrect note in public performance. Scott Joplin was a revolutionary pianist. Although he did not invent ragtime music, he was almost solely responsible for elevating it from its reviled reputation to a more formal and widely accepted musical form. His “Maple Leaf Rag” was the first big ragtime hit, and remained so for a century. Although he was a great improviser at the piano, he believed his music should be played exactly as written, and that all improvisation and creativity should come from the composer, not the pianist. Due to his contributions to his particular style of music, he is know as the “King of Ragtime” to this day. Art Tatum is considered by many to be one of the greates jazz pianists of all time. Although he drank heavily before and during many performances, his playing astounded even the greatest pianists, and it’s said that his fingers moved at an unbelievable speed, with tremendous efficiency and amazing independence of hands. His technique – flat fingers and lightning-fast two-finger runs – was mostly self-taught, but continues to mystify even modern pianists. One of his greatest admirers was Oscar Peterson, also found on this list. Marian McPartland is on this list, because she has made jazz piano so accessible to so many people, primarily through her more than 45 years on the radio – over 30 of those years being on NPR with “Piano Jazz.” She knows virtually every jazz standard in the book and easily plays any of them in any key. At age 90 and going strong, Marian has been an ambassador for jazz piano music nearly her entire life, and the piano world is a better place with her in it. I’ve included Victor Borge on this list because of the sense of joy, fun, and humor he brought to the world of classical piano. He was recognized as a piano prodigy at the age of 3 and, after several years performing as a classical concert pianist during his late teens, he began performing his comedy act that would become his trademark claim to fame. From reading sheet music upside down, to using a seatbelt at the piano bench, Borge delighted audiences around the world with his wit, his brilliant performances, and his creative uses of the English language. It takes a true genius to have such a brilliant command of the piano and be able to use it so effectively as a comedian. Stay tuned to this blog for more great pianists, lessons, tips, and tricks. If you’re curious, a few more pianists I have in mind are Oscar Peterson, Dave Brubeck (can you tell I’m kind of a jazz guy? ), Chick Corea, Billy Joel, and Elton John, to name just a few. This entry was posted in Famous Piano Players and tagged Famous Piano Players by Bill. Bookmark the permalink. Glad I could help, Caleb. Obviously, this is not a complete list – my own list for future posts keeps growing, so stay tuned… So hard to choose! A self-taught pianist, Floyd Cramer was one of the architects of the “Nashville Sound,” a merger of country and pop that helped revive the former genre as it emerged from a commercially fallow period. How about Joe Sample and Chuck Leavell? I was astonished to hear Andre Previn playing jazz. You will never hear a more complete musician, and if you get the chance, look him up playing a duet with the late oscar peterson. Mind blowing! Thanks for the idea, James. I’ll check out that recording, and I do need to post a few more piano players on here.